Perfectly balanced Japanese shears for detailed topiary work. 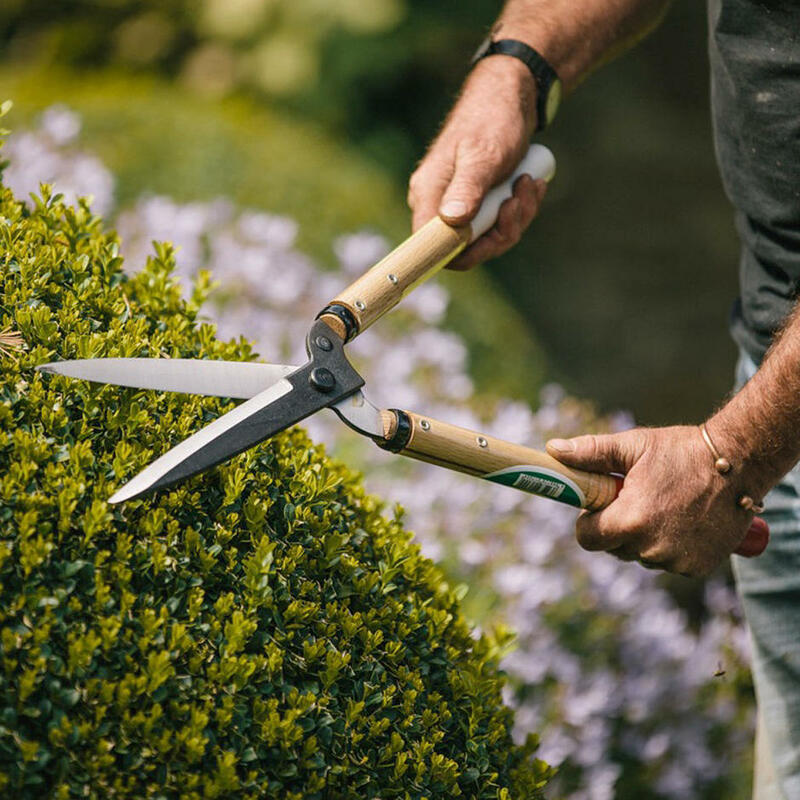 The long 8" blades and oak handles provide perfect balance for detailed topiary work, whilst being tough enough for hedge pruning and more brutal work! 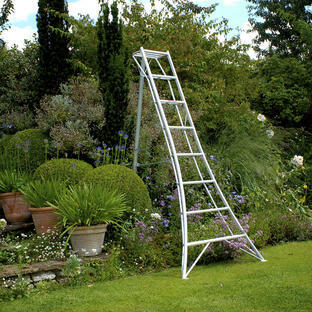 Ideal for box clipping, cloud pruning, yew hedges, bay standards and just about everything else. Not to be confused with the rusty old things at the back of the shed, this tool is a work of art that may help you create another one. 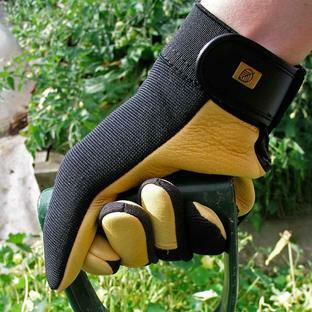 Beautiful feel, and with a very seductive swishy shhnippy sound to them, they are the gardeners equivalent to the solid clunk of a top-of-the-range car door! 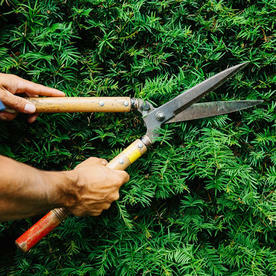 Top tip: When clipping box or yew, keep a bucket of water handy, mixed with a dash (5%, no more) of bleach. Dunk the clippers in every so often and it stops the leaf resin from clogging up the blades. The bleach prevents the spreading of nasty viruses between plants. See here for a traditional sharpening stone block to keep your shears sharp through the season. Excellent balance for an effortless cut. 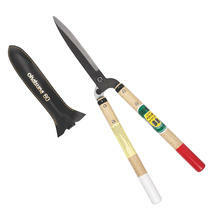 Izumo Yasugi Steel with a Rockwell Hardness of 60.0 - 61.0. Japanese oak handles (Quercus myrsinifolia) and protective leather sheath. 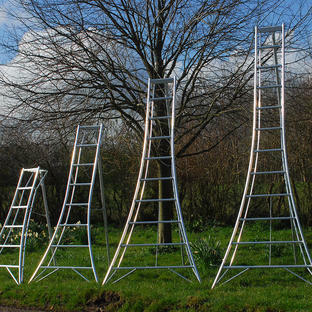 Perfect for topiary, box clipping and hedges. No.1 choice in Japan for gardeners and landscapers.